In 1895, Sultan Hashim issued the first Brunei stamps under a PPP under the guy who got the franchise went round selling those Brunei stamps as fast as he could. In those days, that was considered unfair and many stamp catalogues refused to acknowledge that as Brunei's first stamps. Even in today's Scotts Stamp Catalogue, you will not find the 1895 stamps listed. 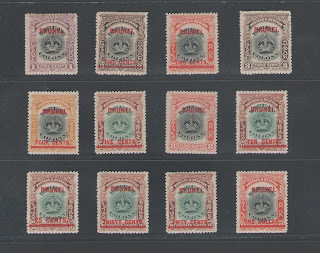 The stamps many cataloguers consider as the first official Brunei stamps is the set above widely known as the Labuan Overprint. Brunei had its first British Resident administering the country in early January 1906. He set up the first Post Officce and ordered new stamps to be used. However those stamps for the new postal service. But those stamps did not arrive until 1907. Luckily for him, the Labuan Island's administration was moved under the jurisidction of the Federal Government and will not be using their stamps anymore. So the first Brunei stamps were those left over Labuan stamps and stamped with the word BRUNEI and the value needed. 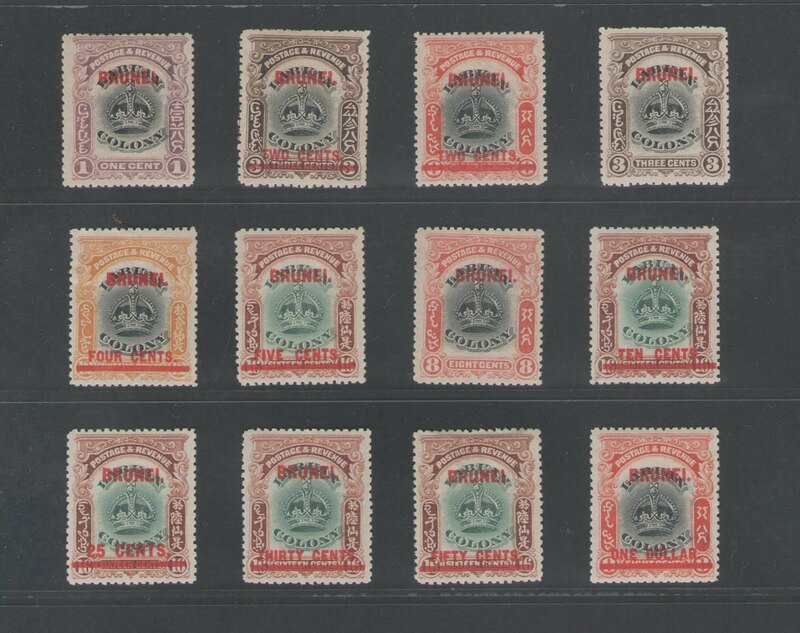 Today these are worth around RM$2,400 as listed in Standard Stamp Catalogue of Malaysia Singapore and Brunei. Whereas the Scotts Stamp Catalogue at about GBP685. I managed to acquire it for much less than that.